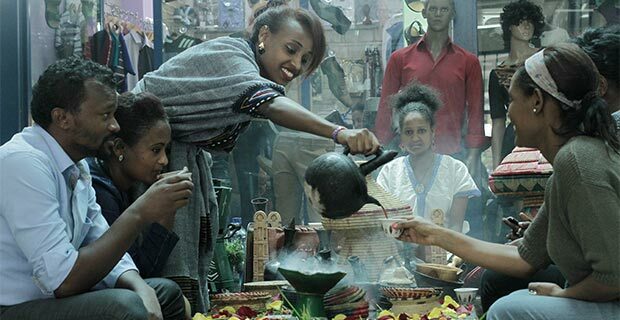 As Ethiopians celebrate the New Year, Fortune take a look back over the past 12 months of the country’s development. 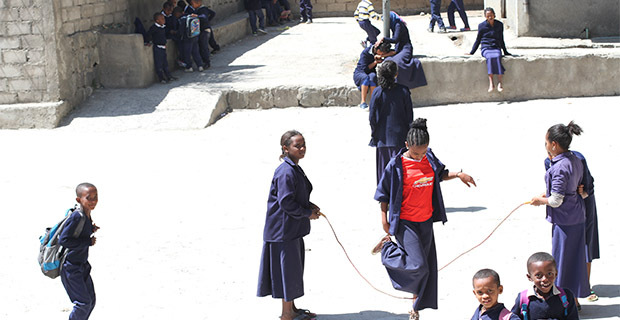 As Ethiopians celebrate the New Year, Fortune take a look back over the past 12 months of the country’s development. As with every year, there have been highs and lows, progress and regress. Addis Abeba shone in the glory of the AU’s 50th Anniversary celebrations, but once more stuttered in the face of election procedure. The ERCA saw several high profile arrests on corruption charges, whilst Ethiopian Airlines became a beacon of business success once more. Access Real Estate have fallen deep into crisis and privatisation has slowed. Progress in telecommunications and housing promises long-awaited solutions, whilst the country finally saw the near-completion ofAfrica Avenueand the development of other infrastructure projects, too. 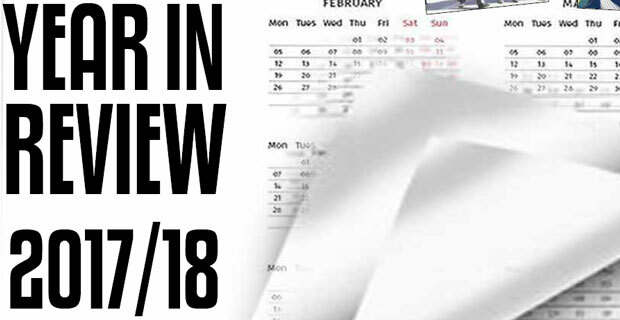 In this brief flashback of the year, SAMSON HAILU, RESEARCH EDITOR, provides a review of the major economic and socio-political activities of the past year. The 2012/13 fiscal year was unsuccessful for the Privatisation & Public Enterprises Agency (PPESA), after it failed to attract offers for enterprises like Ghion, for which it had expected high offers. It had, for instance, set the indicative price of this hotel at 150 million dollars, before lowering it to 120 million dollars. 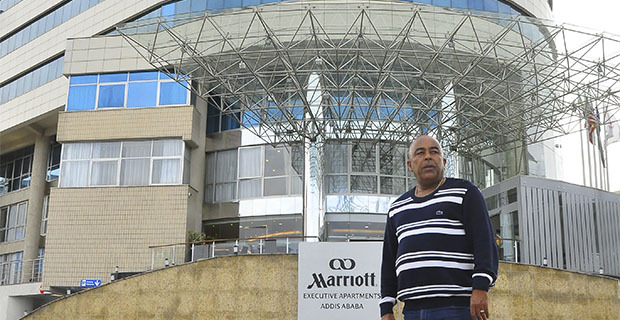 The intended sale of Ghion Hotel Addis Abeba, known for its spacious 12ha compound and birdlife, has drawn a lot of attention from notable local and international investors. The Agency failed, however, to transfer it to the private sector as planned. This was unlike the preceding two years. Firstly, there was the auction of the country’s state-owned beer companies, which attracted international brewing giants, Heineken, who bought Harar and Bedele for 163.4 million dollars. Later, Diageo paid 225 million dollars for Meta Abo. Then, MIDROCEthiopiaand its subsidiaries took six big enterprises, including – Upper Awash Agro-Industry and Abebo Farm Development. 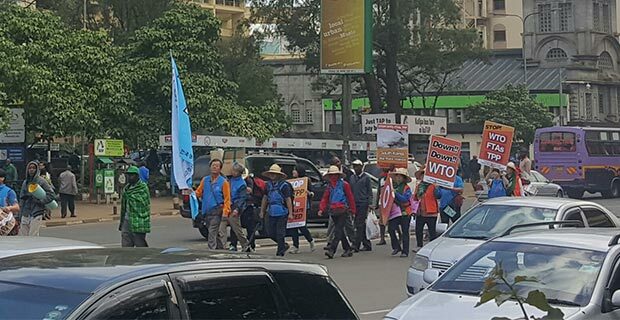 Last year, four MIDROC affiliated companies, whose lucrative 1.3 billion Br offer for five state-owned enterprises was approved by the Agency, also started to pay. Last year, for the first time, the Agency didn’t offer to transfer any of the enterprises on a joint venture scheme. This is in line with the recent trend the Agency has been following of opting to fully privatise companies previously offered on joint ventures. Previously, the PPESA transferred enterprises through three different approaches. One of these was through lease, where a private sector would have full use of the enterprise for a limited time by paying rent. Currently, there are 34 companies that the PPESA has under its privatisation wing. If the government was successful in privatising all 20 of the companies this year, it would only have 14 companies left to privatise. Since the ratification of the new Urban Land Lease Proclamation in October 2011, the Addis Abeba Land Bank & Transfer Agency floated three regular and one special auction last year. This saw the transfer of close to 140,000Sqm to residents and private developers. The first tender, in November 2012, drew an average price of 10,000 Br a square metre, for residential plots, 460 Br for apartment buildings and 11,000 Br for mixed-use buildings. The second tender, held in January 2013, brought lower prices, according to the officials expectation that the lease price would decrease in the future, as more and more houses are being built by the government. The auction fetched prices for residential plots, ranging from 6,000 Br to 9,000 Br; 260 Br for apartment buildings and 13,000 Br a sqm for mixed-purpose buildings. However, the lease price showed an increase when the Agency availed a total of 40,000sqm of land on 95 plots in Akaki Kaliti, Kirkos, Yeka, Kolfe Keranio, Bole and Arada districts in the third auction, floated on July 9, 2013. The highest price offered, 26,202 Br a square metre, was for a second-grade 656sqm plot of land at Wollo Sefer in Kirkos District. The Agency also auctioned plots, covering a total area of 8,886sqm in Kirkos District, through a special tender, for the first time since the city centralised land auctions, in April 2013. This was done in the hope of curbing corruption in the auction process. This special tender limits the land to a specific use, namely – educational institutes, hospitals, health and research institutes, four star or above hotels and mega real estate developments by the private sector. Throughout the last fiscal year, one major issue loomed over the minds of residents in Addis Abeba – housing. Hoping to take their chance of becoming a homeowner, residents waited since October 2013 after reports about the registration of the newly introduced government housing schemes were released. 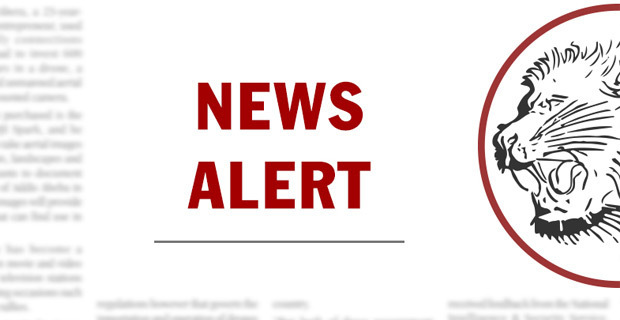 Although registration was supposed to take place starting from October 2013, it was delayed because of controversy between the Commercial Bank of Ethiopia (CBE) and the Addis Abeba Housing Development Enterprise. This was regarding who would be responsible in handling document verification. Eight months later, however, the registration process of the more popularised of the government public housing programmes – 10/90 and 20/80 – began. These schemes – designed for lower incomers and the lower middle class, respectively – have a savings scheme attached to them, from which their names are derived. 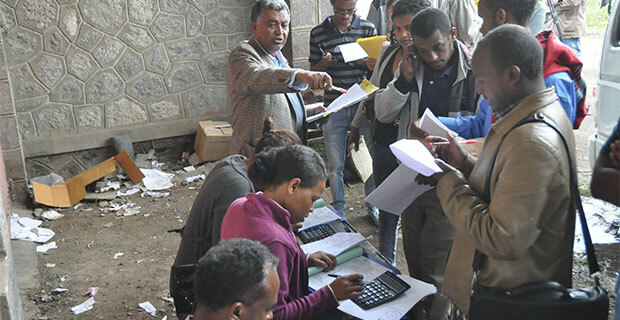 Close to 830,000 people registered in these housing schemes, which was conducted at weredas and government offices, from June 10 to 28, 2013, after opening an account at one of the 115 branches of the CBE operating in the capital. 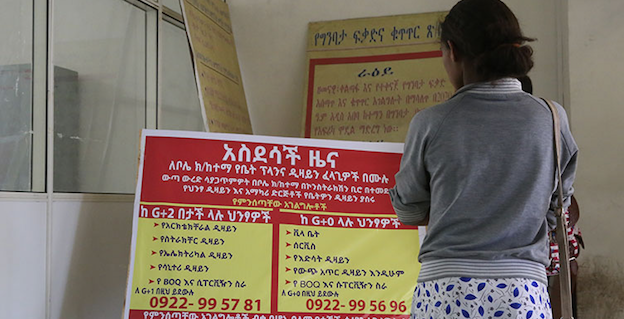 Up until August 23, 2013, the Addis Abeba City Administration was finalising the registration of house seekers, organised under housing associations and in the 40/60 housing scheme. However, the government did not stop there. At the end of the last fiscal year, the Ministry of Urban Development & Construction (MoUDC) announced that it will launch a new housing scheme designed for parastatal employees, in September 2013, on top of the eight existing housing schemes. The Ministry also proclaimed a scheme specifically intended for the Diaspora community will start on October, 2013. 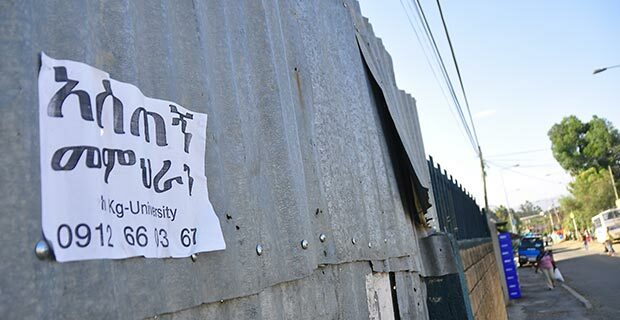 This was after controversies surrounding the registration of Ethiopian Diaspora in the 40/60 housing scheme shattered the hopes of many in the Diaspora community. At the end of the last fiscal year, officials and policymakers reported a devastating export performance for the third time in a row, since the launching of the ambitious five-year Growth & Transformation Plan (GTP), three years ago. This is despite the government’s endeavour to increase the country’s export earnings by pursuing concrete policy measures and incentive schemes. The report released by the Ministry of Trade (MoT) reveals thatEthiopiaregistered 3.08 billion dollars in export revenue in the 2012/13 fiscal year. Not only has the export revenue for the just ended fiscal year failed to meet the four billion dollar target set by the government at the beginning of the fiscal year, which is the case since 2010, also it showed a decline of 2.27pc from the previous fiscal year. This decline in export earnings interrupted the 15.23pc average export growth rate the country had registered over the previous seven years. This under performance was exacerbated by the decline in coffee exports, which isEthiopia’s flagship export item. During the last fiscal year, export revenue from coffee fell by 10.4pc to 746.4 million dollars. 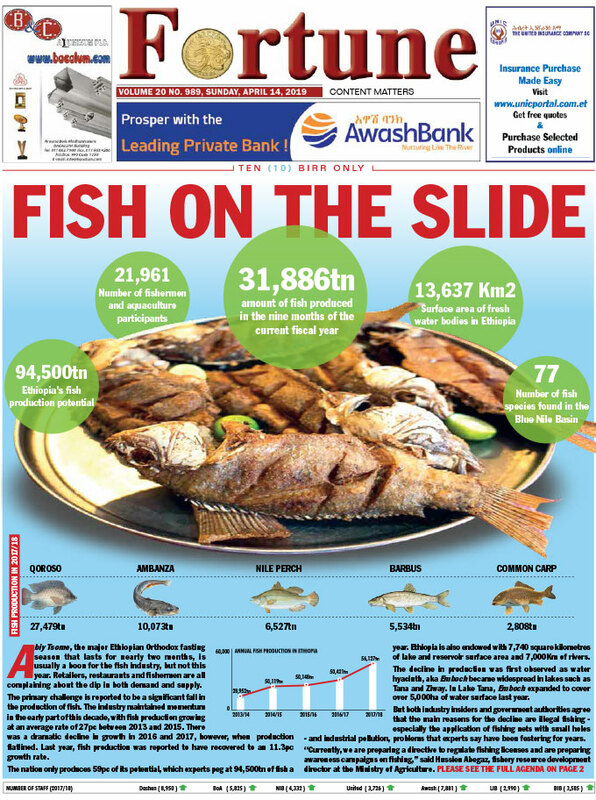 This is despite the volume of export increasing to 199,104tns – a 17.7pc increment from the previous year. The horticultural exports, which the government has prioritised in the GTP, have not only failed to meet the 2012/13 target, but have also declined from that of the 2011/12 fiscal year. The sector, which should have earned 457.49 million dollars according to the plan, only secured 264.52 million dollars this past year. The textile and garment sector also brought in 97.8 million dollars in 2012/13, which is 15.6pc higher than the previous year’s performance, but far short of the planned 171.4 million dollars for the fiscal year. Leather and leather products also underperformed. It managed only 63.3pc of the targeted 206 million dollars, with 121.9 million dollars. The mining sector is also among the sectors that fell short of the target by a large margin. In securing only 596.4 million dollars, it declined by 31 million dollars when compared to the previous fiscal year. This was 26pc short of what was planned. Celebrations for the 50th anniversary of the African Union held last year in Addis Abeba, as leaders from across the continent marked the progress that has been made over the past five decades. The event was organised to commemorate 50 years since the founding of a continental organisation that would become the modern African Union. Today’s 54-member AU is the successor of the Organisation of African Unity (OAU), established amid the heady days as independence from colonial rule swept the continent in 1963. The AU has adopted the theme of Pan-Africanism and the African Renaissance for its jubilee year – a call for greater regional integration and a celebration ofAfrica’s re-emergence as a global power. African leaders are also looking at ways to sustain the continent’s rapid economic growth and to ensure it translates into an increase in jobs and a reduction in poverty, which still plagues the continent. 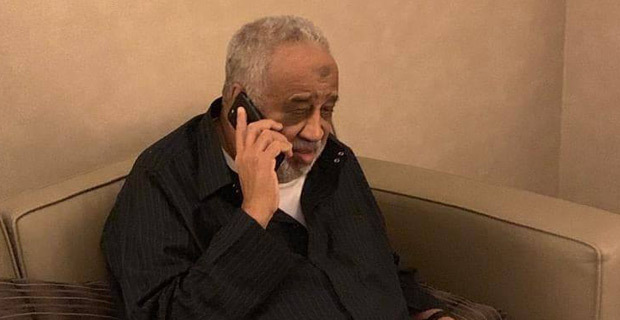 Among the items being discussed is a call from African foreign ministers for the International Criminal Court case against Kenyan President Uhuru Kenyatta and his deputy to be returned back toKenya. The motion is seen as a major rebuke of the ICC, which leaders here say unfairly targets Africans. It certainly has been grand and, without doubt, shocking. 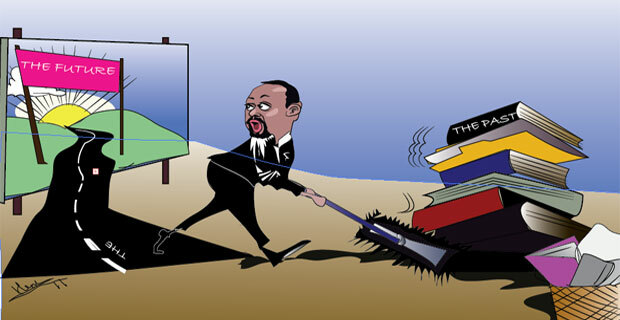 Last year’s wave of arrests, involving officials at the Ethiopian Revenues & Customs Authority (ERCA) and other renowned business moguls, on suspicion of involvement in corrupt business practices, sent a shock wave down the spines of the ever-expanding circle of Ethiopia’s nouveau riche. 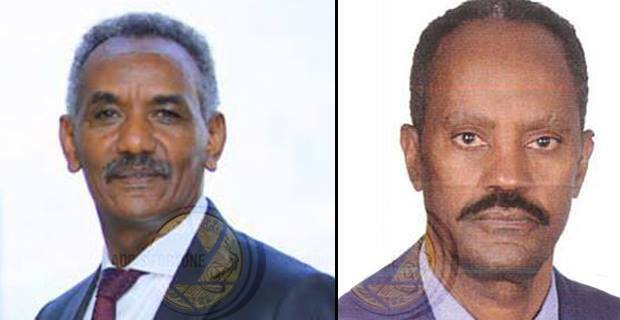 The list of suspects includes Melaku Fenta, the former director general of the ERCA and his then deputy, Gebrewahid W.Giorgis. 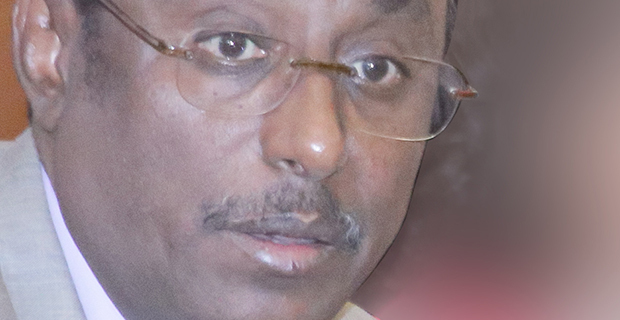 Two months later, the government appointed former Adama Mayor, Beker Shale, as the new director general of the ERCA. Prominent businessmen, including – Ketema Kebede of K.K. 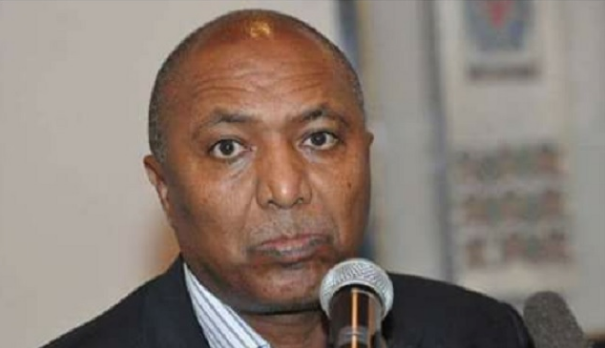 Plc; Simachew Kebede of Intercontinental Hotel; Nega Gebregziabher of Netsa Trading Plc, Monet Plc and Nega City Mall and Meheretab Abreha, the brother of the former TPLF veteran, Seye Abraha, are also included in the list of those detained. The list of alleged corruption crimes that these detainees are suspected of include -halting charges to be made on businessmen for improper use of hotel equipment imported duty free; the import of cement using the illegal Franco Valuta method; dropping charges on at least 60 files at the ERCA for undue benefit and hiding evidence. The last weeks of August 2013 marks the eighth time in a row that investigators at the Federal Ethics & Anti Corruption Commission (FEACC) have asked for an additional investigation period, without affording bail to suspects, since the Federal Police began to arrest a series of high level officials of the ERCA, prominent businessmen, customs officials, brokers and heads of transit companies. For the ninth time, the court postponed the case, this time until October 2013. The total number of detainees has now reached close to 60. The Ethiopian Shipping & Logistics Service Enterprise (ESLSE) was one of the public enterprises that saw up and downs during the last fiscal year. Challenged by the backlog of around 22,000 containers piled up at theDjiboutiport, theEnterprisestarted the year with uncertainty. At the time, theEnterpriseonly had the capacity to transport containers at a rate of 300 a day. By October and November of 2012, however, the ESLSE announced that the situation had stabilised and it was the congestion taking place at the dry port in Modjo that was creating a problem. To ease the burden, in March 2013, the Ministry of Transport issued a directive allowing the ECRA to transfer contents of containers within 30 days of arrival to warehouses, both within and outside of the dry port. This move was intended to save both space at the dry port and the dollars paid for the lease of containers. The directive also seeks to provide solutions over the fate of goods that have stayed for too long at Modjo and other satellite dry ports. Such solutions include penalising those that have not picked up their goods by repossessing their items. But, still goods that came in after the introduction of the change were not being picked up. For close to the entire year, the newly amalgamated Enterprise, formed out of the Ethiopian Maritime Transit Services (EMTS), Dry Port Service Enterprise (DPSE) and the Ethiopian Shipping Lines (ESL), was unable to bring containers from Djibouti port and clear the Modjo dry port quickly enough. 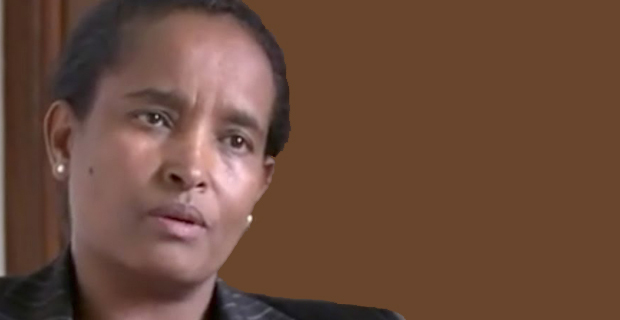 This led to a disciplinary investigation of eleven of Modjo dry port officials, which ended up with the replacement of Getaneh Abat by Meheretab Teklu, as the new director general of the dry port. 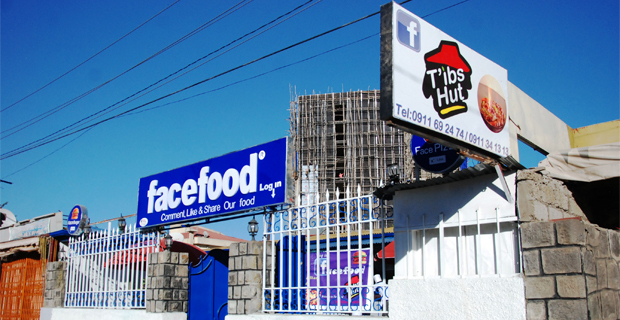 Although late, one of the public enterprises that made remarkable progress last year was ethio telecom. The company, which is the country’s sole telecommunications provider, announced it is seeking a new round of financing as it ramps up expansion plans generated towards meeting the telecommunication sector development goals, set out in the GTP at the beginning of last year. At the closing of the year, ethio telecom signed a 1.6 billion dollar agreement withChina’s Huawei and ZTE to expand its mobile service capacity to 50 million subscribers and introduce a 4G broadband network in the capital Addis Abeba. 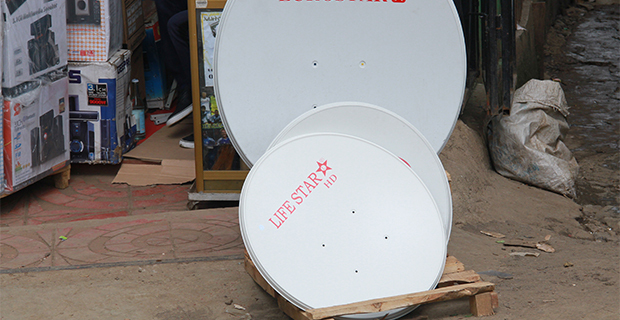 The project also enables ethio telecom to offer 3G mobile services to subscribers throughout the country. The project increases the capacity of mobile subscribers to 50 million and will increase telecom services coverage of the country to 85 per cent. Huawei and its rival ZTE will take a 50pc market share each. As far as the responsibilities assigned to them are concerned, ZTE will take up a security operation centre and operation support centre. This is because it gave good offers in this regard. Huawei will undertake the customer service supply. Nevertheless, the full scope of the role each company will take still remains undecided. With the issuance of airworthiness directive from the Federal Aviation Authority (FAA) of the United States in January 2013, came the grounding of Ethiopian’s four B-787 Dreamliner aircrafts. Ethiopian were the second global airline in the world to own the long-range, mid-size, twin-engine jet aircraft. As investigations were being run on the technical failings of the aircraft, felt first inJapan, byUnited Statesauthorities and the manufacturer, Boeing Commercial Airplanes, all the Dreamliners were parked insideBoleInternationalAirport. The FAA issued an emergency airworthiness directive on January 16, 2013, for all airlines operating B-787s to carry out special inspection procedures on the aircraft’s battery system. This led to Ethiopian’s management pulling the Dreamliners from their scheduled routes, particularly impacting cross-Atlantic flights. All 50 Dreamliners in operation around the world at the time was grounded, leading the stock value of the Boeing company to drop by two percent, hours after the announcement of the FAA. The four Dreamliner routes fly toJohannesburg,Toronto, Frankfurt,Beijing,LusakaandHarare, with the longest being the 11,500Km nonstop flight toWashingtonDC. After two months, however, Ethiopian Airlines become the first commercial carrier in the world to resume flying passengers with one of its 787 aircrafts. It had previously remained grounded atBoleInternationalAirportsince mid-January 2013. Priced between 207 million and 243 million dollars, the first long awaited Dreamliner aircraft touched ground at Bole international Airport on August 17, 2012, amidst much fanfare. Ethiopian Airlines, the first carrier inAfrica, has six of these aircrafts scheduled to be delivered before 2014. Last year, Access Real Estate, which was praised by many as pioneering the industry, found itself in a typical “bank run” crisis – a situation where a large number of customers demand to withdraw their money simultaneously, due to concerns over a company’s solvency. Such a decision from customers comes when they panic about the prospect of losing their savings. Nothing explains the mood over the past year, in relation to Access Real Estate, better than sheer panic. In April, 2013, prospective homeowners conducted a series of meetings in different sites of the company, plotting a way to recover their money or retain assets believed to be under the company’s deed. The question is whether prospective homebuyers should continue to pour their hard earned money in, despite public disclosure over this murky state of affairs. This, too, changed abruptly after a few weeks, when a retired military officer who was issued a cheque for a refund by Access, reported an alleged cheque bounce crime to the police. Ermyas Amelga, CEO of Access, was put under police custody for a night. The case was explained by the Bank not to be the result of insufficient funds, but rather due to a suspended account on order from a court of law. The person was paid right away, an amount which is part of the 65 million Br Access has so far paid to those who have demanded their money back, with the 15pc the firm had promised it would pay in cases of defaults in delivery. The widespread panic that these turn of events instigated not only compelled many homebuyers to get organised, in exploring methods of recovering their prospective losses, but too, it gravely damaged the firm’s business model, which requires a constant cash flow. Until the end of the last year, there are close to 70 suits being filed against the troubled company. The construction of the road from Meskel Square to Bole Airport also saw the light of day last year. On June 16, 2013, the Addis Abeba City Roads Authority (AACRA), managed by Fekade Haile (Eng), inaugurated the face liftedAfrica Avenue, known asBole Road. This was almost 19 months after the approval of a 60 million dollar loan for the construction of the road by the Council of Ministers, in November 2011. 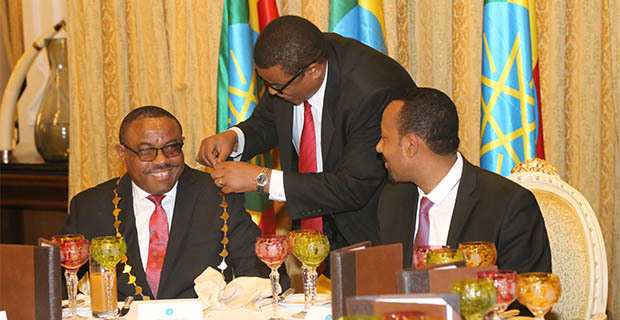 The inauguration was the last public act of Kuma Demekisa, the former mayor of Addis Abeba. 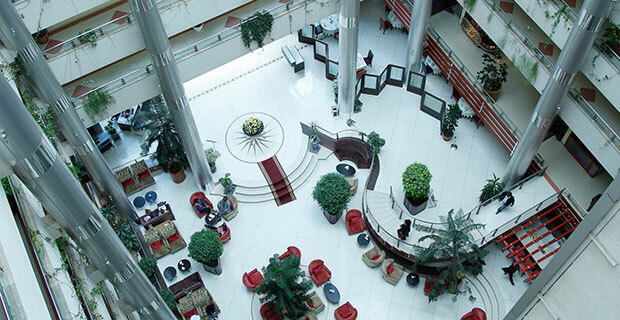 The much awaited remodelling ofAfrica Avenuebegan on February 17, 2012. This was in spite of the fact that the design for the 4.3Km long, 40 metre wide road, consisting of wider lanes, two underpasses and an overpass was unveiled by Zewdie Eskinder & Co Plc, at the end of 2007. A change, however, in the initial contractors awarded the project, a local company called Enyi, and the process of securing 60 million dollars in loans fromChina’s Export-Import Bank (EXIM), delayed the process. Since the Authority did not officially received the project from the China Road & Bridge Corporation (CRBC), the project is expected to be finalised in September 2013. 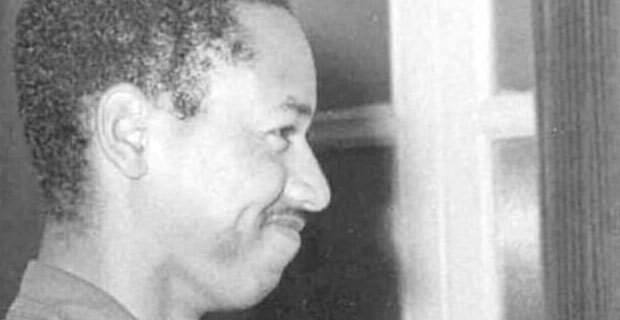 Although it was initially due to be finished within two and a half years, the 50th anniversary of the establishment of the Organisation of African Unity (OAU) accelerated the process. Major works, including two underpasses at Dembel City Centre and Wollo Sefer, were completed in less than half the scheduled time. The road construction, which started in February 2012, cost the Authority 47 million dollars, despite the initial cost estimation of 60 million dollars. The Beer market, which benefited from the entrance of two of the biggest breweries in the world, Heniken and Diago, two years ago, remained relatively passive last year. 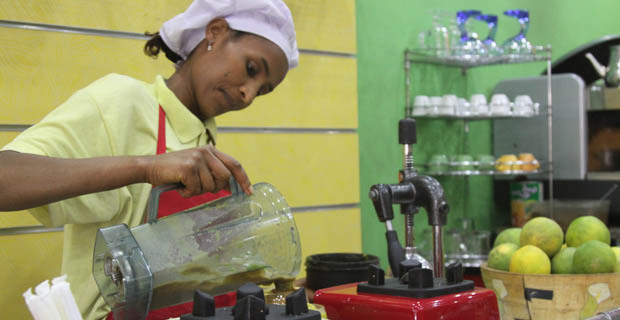 The countdown towards the sixth and seventh breweries to enter the Ethiopian market ended in the first week of June 2013, after the Commercial Bank of Ethiopia (CBE) approved loan requests worth a little over 600 million Br and 370 million Br, for Raya and Habesha breweries, respectively. 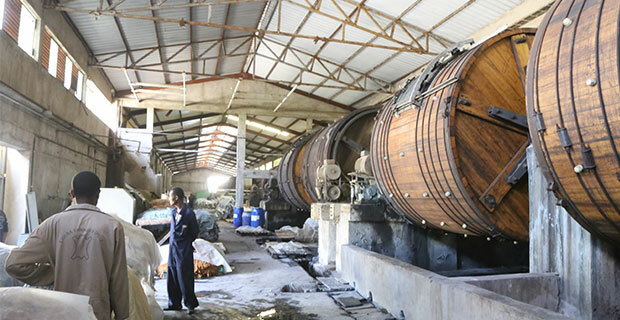 Raya Brewery aims to erect a plant with an annual production capacity of 300,000hl of beer, inBoheraMountain, South of Maichew, 667km from Addis Abeba. The total cost of the project is close to one billionBr. 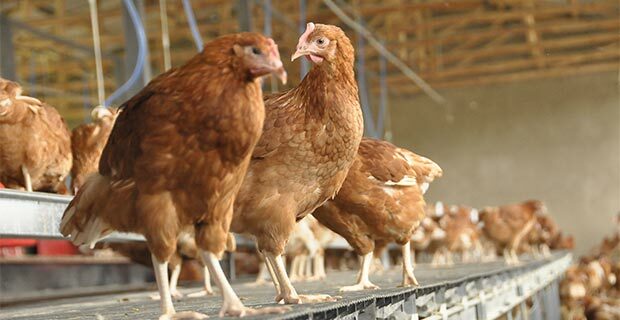 Raya has managed to raise 248 million Br from the sale of shares over the past two years; 30pc of these shares were sold to BGI Ethiopia and 22pc to Dawit Gebre-Egziabher, a businessman who travelled throughSudanandAbu Dhabi, making his millions. 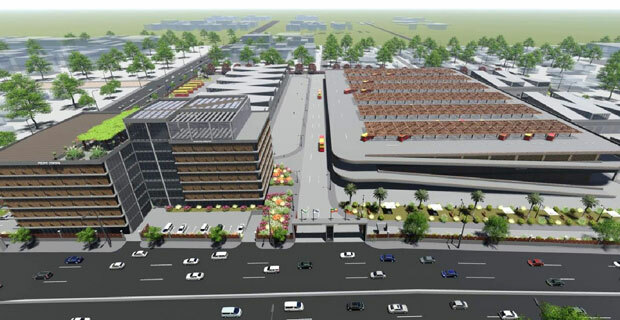 Similarly, Habesha – which aims to erect a brewery with the capacity to produce 500,000hl of beer a year, on a 7.5 ha of land in Debrebran town, 120km north of Addis Abeba, at a cost of 631 million Br – requested 470 million Br in loans, last year. It was granted 370 million Br, at the end of last year. The company, which has an authorised capital of 250 million Br, managed to raise the equity by July 2012, after selling a third of the shares to Dutch Brewer, Bavaria NV. 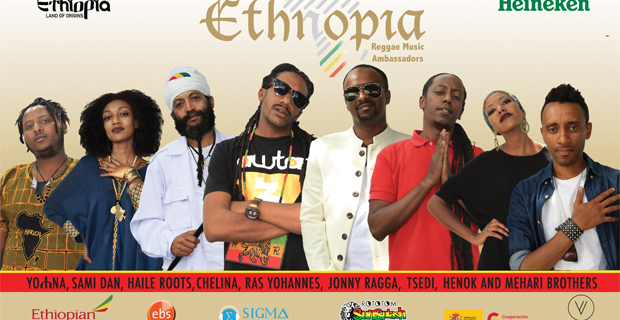 The money raised so far by Habesha amounts to 40pc of the total project cost. 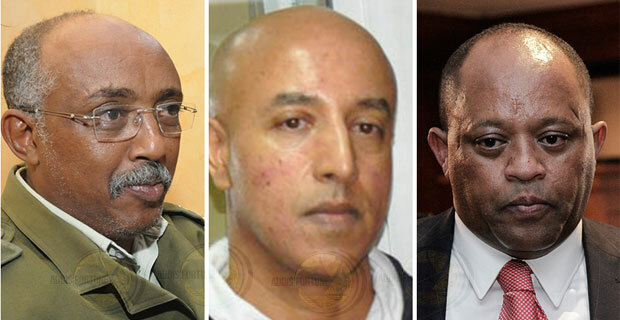 One of the issues that captured the attention of voters last year was the fourth local election for weredas and kebeles, which were held across the country, from April 14 to 21, 2013. 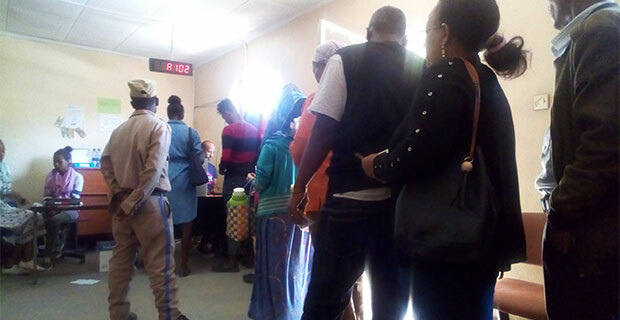 The election process, especially in Addis Abeba, caught the attention of observers, voters and the parties, off guard. The controversies over the election started on December 2013, when close to 33 opposition political parties signed a petition requesting that the National Electorate Board (NEB) address issues raised on the election process. One of the issues they raised was on the Board itself, claiming it is politically affiliated with the ruling party. 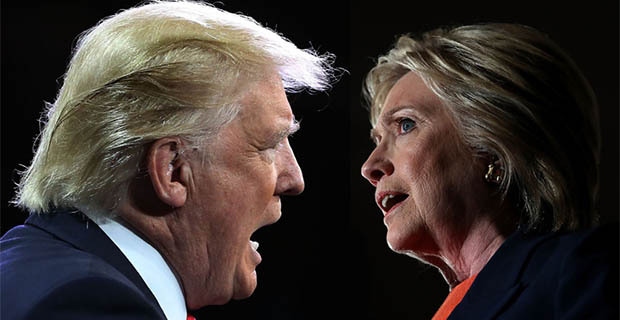 Since the Board announced that the claims these parties presented were not backed up with sufficient evidence, the parties boycotted the election. When the final day approached, 11 parties who registered candidates for the city rested their fates in the hands of the voter. The parties, and their respective candidates, tried to present their hopes for the future using the avenues made available by the Board. With the polls opened nationally on April 14, 2013, at 6 am, voting started for the District Councils and City Administrations of eight regional states. The ninth state, the Southern Regional State, which hosted elections for District and Wereda Councils, had two days of voting. Zone elections took place on the same day, whilst the voting for its Kebelle Administration was held a week later. After a month, in the country where close to 76 political parties operates, theNEBofficially declared that the EPRDF and its affiliates had won all but four of the 3.6 million seats in the local elections. None of the opposition parties that fielded candidates won a single seat in an election boycotted by many. 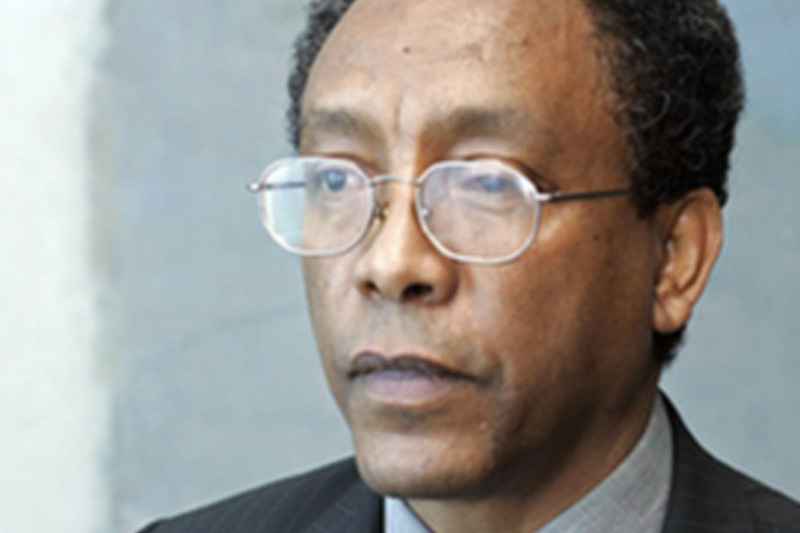 As many observers put it, the election cannot be fairly judged as one between the EPRDF and the opposition parties. 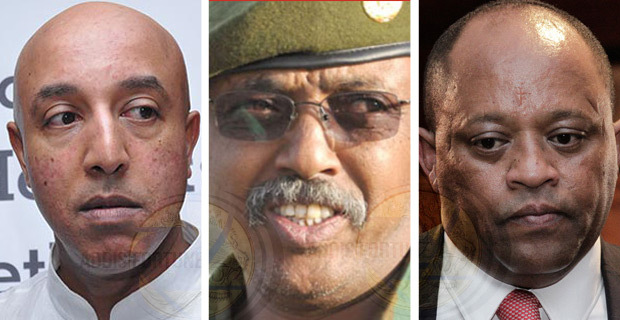 It was, rather, a fight to the death between EPRDF heavyweights. 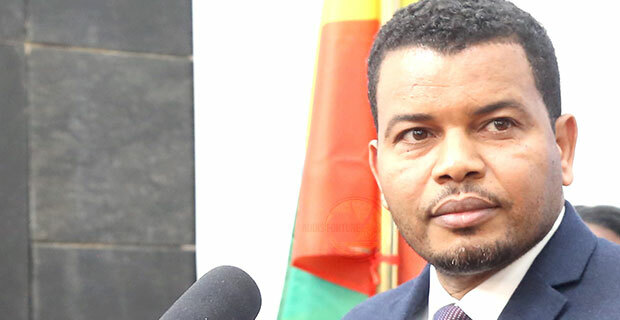 After the EPRDF won all the seats in the Addis Abeba City Council, Direba Kuma, the former minister of Transport, who received the highest number of votes, at 10,000, in Bole District, became the new Mayor of Addis Abeba, replacing Kuma Demeksa. During the last fiscal year, when many private banks have become more cautious over lending, the National Bank of Ethiopia (NBE) on February 2012, lowered reserve requirements to five percent. This helped to free up close to 3.3 billion Br in liquidity. The Central Bank also fixed the portfolio share of short-term loans to be given out by the banks, to at least 40pc of total disbursement. This move follows a decision by the Central Bank to fight the galloping inflation, in September 2011. The move compelled all private banks to buy NBE Bills, amounting to 27pc of the loans they make – a move that led to a near freeze of investment and a massive slowdown in businesses. 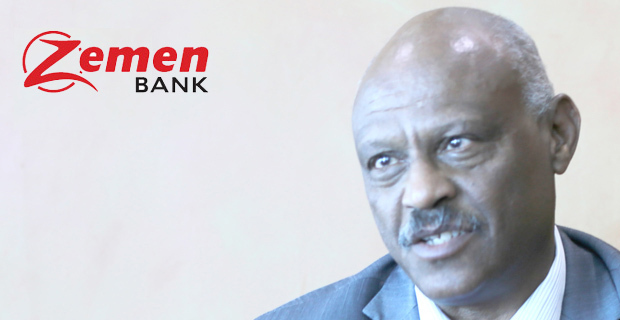 Based on the 66.2 billion Br in deposits that the banks held at the end of December 2012, Dashen Bank, which mobilised 14.7 billion Br, will benefit the most from the change – accessing 734.6 million Br as a result. AIB and United Bank are next in line, with 512.9 million Br and 383.9 million Br, respectively, released from the decrease in the reserve requirement. The Central Bank also circulated a new bill, meant to repeal the 1996 directive, entitled ‘Limitation on Investment of Banks’, in order to allow banks to directly engage in businesses not related to banking. This is provided that they do so in a joint venture or partnership agreement with their customers, through an interest free banking service. This provision pleased most of the bank presidents, as it allows larger investments in financial infrastructure. In the 1996 directive, banks were allowed to invest only up to 20pc of the company’s share capital in a single non-banking business and total holdings in such businesses can only reach 10pc. 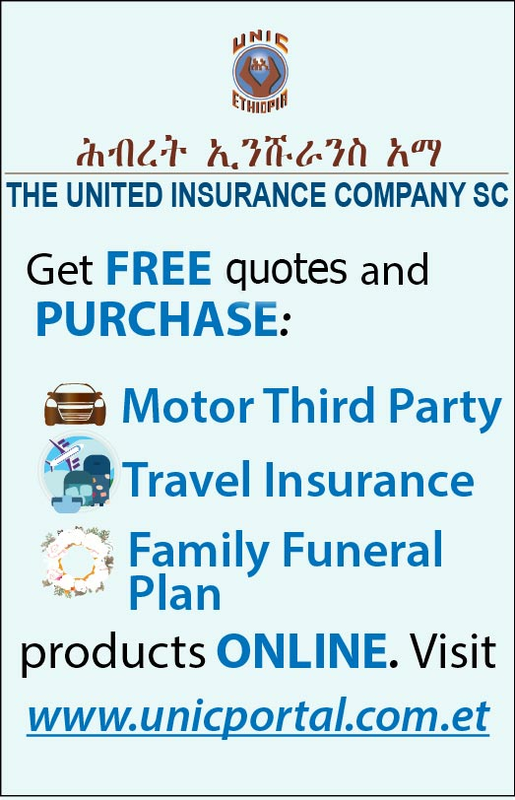 Although at its infant stage, the NBE started to draft a directive, in February 2013, to regulate and provide a policy framework for micro-insurance inEthiopia.